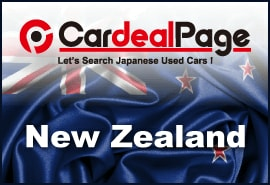 CardealPage Recommends "New Zealand D2D Service"
Globaline through our CAR-GO world service provide the “PREMIER” service for all types of vehicles from Japan to New Zealand and all other ports in Oceania. In concert with our New Zealand partners – Cargo Co-ordinators – we have the longest experience in this trade, and also offer the fastest service structure for vehicles to New Zealand. While we offer a full service package - door to door - with all required inspections, we do not stop there, and provide a full consultancy service for you that includes a “landed cost calculation facility” and recommendations to compliance and remediation centres that you can trust. If in New Zealand, please contact with our office through the details below, and you will find very knowledgeable, helpful staff that will go the extra mile to assist you. Moana Blue is the "Total Package" for fixed price motor vehicle door to door shipping and logistics from Japan to your door in New Zealand. Being a 100% independently owned New Zealand company with dedicated staff in both our New Zealand headquarters and Japan office, Moana Blue have the size and scale to provide the complete door to door solution at competitive rates and expertise while providing customized solutions. With extensive industry experience in New Zealand and Japan the team at Moana Blue are leaders in innovation, with an impressive history of meeting the needs of the New Zealand vehicle import industry. 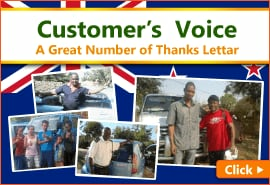 As an independent shipping and logistics company Moana Blue offer our customers an unbiased and flexible approach to importing vehicles. This independence enables us to tailor our services and select our supply chain partners to best meet your needs and preferences whilst maintaining the confidentiality of your information. With our aim of making the process “simply easier” you can always be assured that we will always put our customers’ needs first. With impressive inspection, tracking, documentation and communication systems you can follow every step of the process online and in real time.